Crystal Mountain boasts two championship golf courses with completely different layouts, but both have a four-star rating from Golf Digest. Both courses take advantage of a different aspect of the beautiful landscape. Betsie Valley is slightly less demanding than the other course but it is still a challenge. The fairways are lined with towering pines and mature hardwoods and strategically placed bunkers fiercely guard the greens. 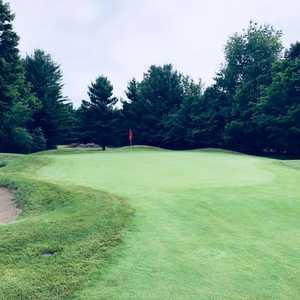 Crystal Mountain is one of northern Michigan's premier golfing destinations, offering two scenic championship golf courses that play across wooded hills. 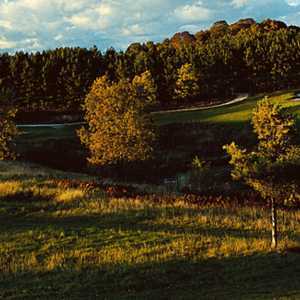 The Mountain Ridge and Betsie Valley Courses share the same scenic landscape but they offer two completely unique layouts. Mountain Ridge was carefully carved from densely forested highlands that climb to a peak of 200 feet. The challenging design incorporates tree-lined fairways and expansive waste bunkers.